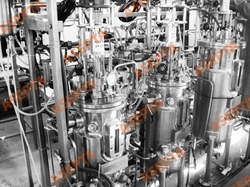 This In-Situ Fermentor & Bioreactor is widely used in microorganism lab of academe and company. It's an ideal instrument for exact fermentation experimentation. we can meanwhile look back to many years of scale-up experience which guarantees that process optimization will incorporate all safety and efficiency aspects. Backed by years of industry experience, we are engaged in offering a premium quality range of Pilot Scale Bioreactor. With equipment capacities from 10 kg to about 30 kg, the pilot batch equipment replicates production equipment, with smaller batch processing capabilities. Parameters from the Laboratory Scale equipment can be used to scale up the production to a pilot scale production level. Automation & cleaning systems are offered on these equipment. 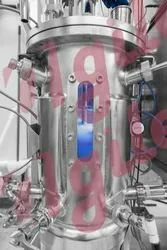 We have set a benchmark in the industry for manufacturing and supplying Laboratory Scale Pilot Dryer. The offered system is used for drying of powder in a wide range of industries including food processing, dairy and pharmaceuticals. This product allows drying of bulk amount of powder and is impeccable in terms of performance. It is user-friendly as well.